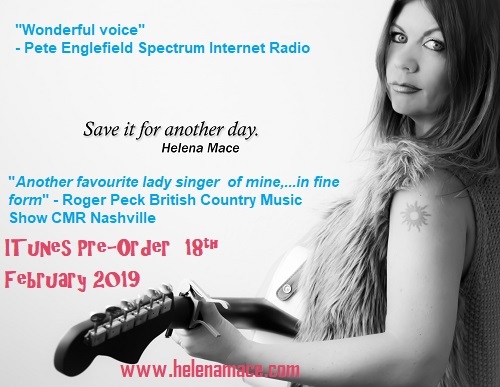 Bournemouth based Helena Mace has issued her latest release, “Save It For Another Day”, which is the 2nd single from her yet untitled new album. A song is described as about an old musician who used to be quite something back in the day which touches on both fame and loneliness and how some people are happy in their own loneliness. The new album is slated to be a Country themed album which will have a release date around end 2019/early 2020. 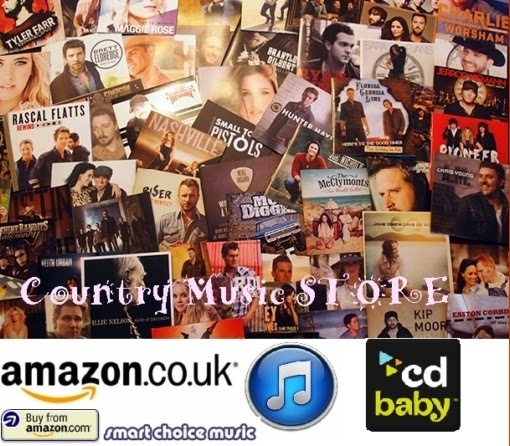 ABOUT Russell Hill's Country Music Show (Facebook Page; broadcast on Express FM “Passionately Portsmouth” every SUNDAY 12pm-3pm | Express FM: Website; Eldon Building, Winston Churchill Avenue PO1 2DJ Portsmouth). Her previous album, WASH AWAY THE YEARS, received rave reviews from the Industry as well as the general public and Helena was a finalist for the UKCountryRadio.com’s UK Country Music awards for UK Country Album Of The Year and her latest album, CHASING DREAMS is still critically acclaimed worldwide. Her music has featured on SKY TV (Keep It Country TV) and the BBC as well as a large amount of Radio stations worldwide. Sun 24 February 2019 - Carrington House Hotel, Knyveton Road Bournemouth (Website | 27-31 Knyveton Rd, BH1 3QQ) Cover songs gig Multi genre from 60s plus. Weds 27 February 2019 - Dorset Golf Club, Bere Regis (Dorset Golf Club, Nr Poole BH20 7NT) 8:30pm. Sun 3 March 2019 - Foundry Arms, Poole (58 Lagland St, BH15 1QG) Time: 3:00pm. Sat 9 March 2019 - Carrington House Hotel, Knyveton Road Bournemouth (Website | 27-31 Knyveton Rd, BH1 3QQ) Cover songs gig Multi genre from 60s plus. Weds 20 March 2019 - Carrington House Hotel, Knyveton Road Bournemouth (Website | 27-31 Knyveton Rd, BH1 3QQ) 8:00pm Cover songs gig Multi genre from 60s plus.